USA (NY) – Manhattan’s arthouse Quad Cinema has been sold and it could frankly not have asked for a better new owner. At first, news that the revered Quad Cinema in New York’s Greenwich Village had been sold to a real estate magnate caused us alarm. But it turns out that Charles S. Cohen, in addition to being the president and chief executive of Cohen Bros. Realty Corp., is also a major supporter of great film, both as a distributor and as a historian. Europe is behind the US when it comes to the sophistication of the popcorn market. Gourmet flavour and so-called healthy-option popcorn apparently represent untapped markets according to a new report. Global launches of popcorn rose over 8% in the 12 months to the end of June 2014. The large and mature US market was the leading individual country, accounting for over 20% of total introductions. But this was behind Europe, where the large number of countries involved took its share to 36%, according to data recorded by Innova Market Insights. Finland – Unique Digital will be rolling out its digital delivery system in Finland following a deal with local operator Digital Spider. Unique Digital, the leading European digital content service provider and Digital Spider, Finland’s market leading digital delivery provider, will together deploy MovieTransit in Finland. 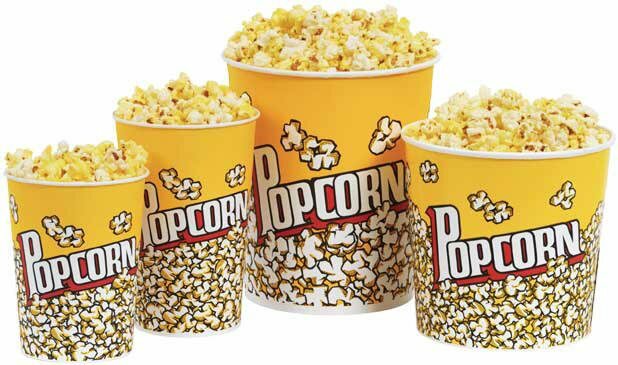 USA (RI) – Here is an interesting alternative to the usual toy thrown in with the popcorn-and-soda combo. Jane Pickens Theater & Event Space in Newport recently launched The Hollywood Ticket. 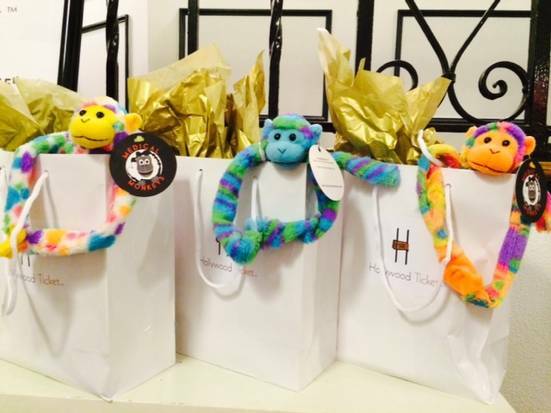 For $5, movie-goers can upgrade from a regular ticket to one that comes with a swag bag full of products, samples and special offers worth more than $200. India – The scandal of the corrupt Rakesh Kumar, Head of the CBFC, continues to reverberate in Bollywood and stories are emerging that nearly makes your head spin. Hopefully lessons will have been taken onboard. Dolby – Dagmar Dolby seems intent on selling off her entire family stake in Dolby. I’ve lost count how many times I’ve seen these divestment notices now. Does she need the money or is it a massive vote of No Confidence in Dolby? I don’t know. 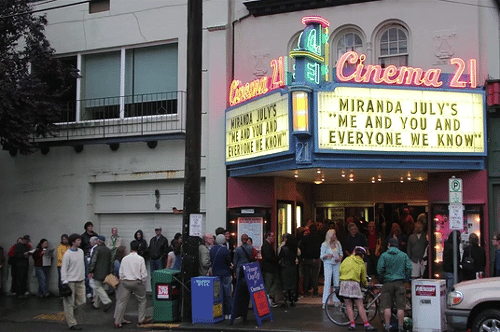 USA (OR) – Not all crowdfunding campaigns by independent cinemas are for digital projectors. Cinema 21 needs the money for new seats. Hence the Kickstarter. For just the lower part of Cinema 21’s main auditorium—not counting the balcony—Ranieri’s estimating $70,000 will be needed to purchase, ship, and install the theater’s new seats, which he adds will be “a little wider,” rock back and forth, and feature cup holders—in other words, the kind of seats that patrons at most theaters have become accustomed to. “That number is daunting to me,” Ranieri admits, before dropping an even more daunting number—that to renovate the auditorium’s balcony as well, it’d be “well over $100,000.” That’s why, he says, this Kickstarter is only targeted at renovating the original auditorium’s lower section. Brownrigg goes to college in Colorado and will head back there soon. 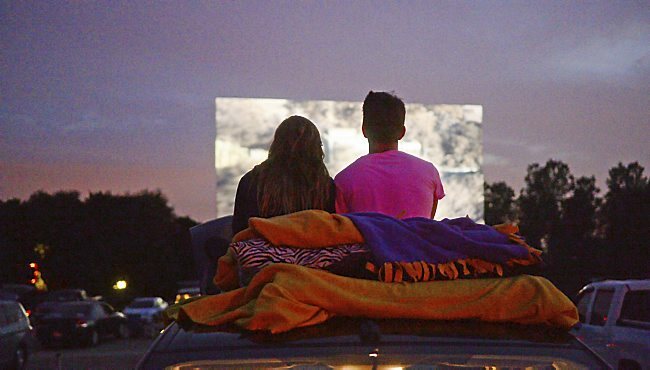 But “when we do get a day off and it’s girl’s night, it’s like, let’s go to the drive-in,” she said. For one thing, it’s cheaper than dinner and a movie — they split the groceries, spending $20 on food. It’s also a more social experience, Turcios said. “There’s more of a community feel here,” she said. 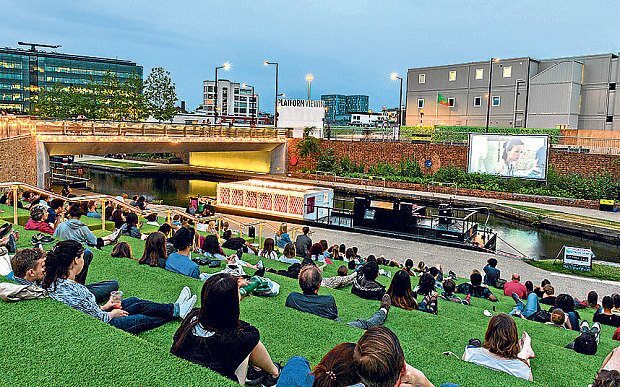 UK – Not so much a drive-in as a float-in, we just love this canal cinema barge. Money well spent by the Arts Council and The Legacy List, the London Olympic park charity. The purpose-built boat – called Up And A Wave – is spending the summer wending its way, at 4mph, along the network of canals, tunnels and locks that criss-cross Greater London, stopping off en route with its pop-up programme of documentary films, talks, discussions, community forums and workshops, aimed at young and old. 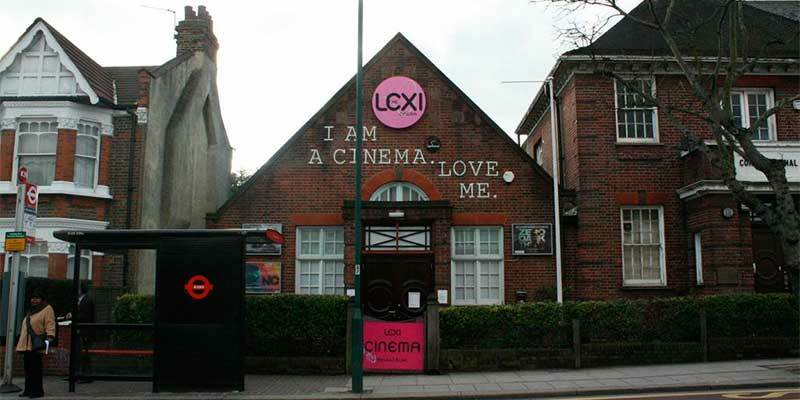 UK – London’s Lexi cinema re-opens after being closed for refurbishment. 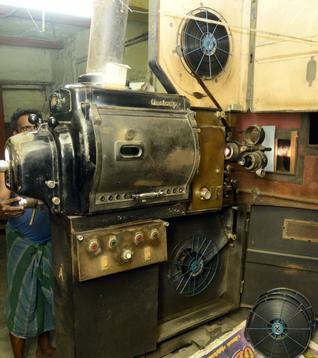 Nobody should be surprised at the mass extinction of projectionists, or “the last link in the filmmaking chain.” This article talks to some of these ‘dinosaurs’ and looks at what is being lost. Sadly the loss of projectionists means that when something goes wrong with the digital sound or picture there is nobody to turn to other than the minimum wage earner in the concessions stand. All the film projectionists interviewed during Locarno Film Festival 2014 agree that there’s simply too much to do to just sit back and enjoy the show. Since the projectionist’s duty is to guarantee the best image and sound quality throughout the screening, they must be attentive and ready to fix any problems that might arise in lens focus, image cropping and sound volume while at the same time making sure that the projectors are working fine.